Terminated employment, including retirement. If a participant terminates employment with your firm, he or she may request a distribution from the vested portion of his or her account. When the participant retires on or after normal retirement age (age 65 unless otherwise stated in your firm’s adoption agreement), he or she is eligible for a distribution from the plan of his or her entire account. Incurred a disability. If the participant suffers a total and permanent physical or mental condition that prevents him or her from working, he or she may request a distribution from the plan. You will determine if the participant qualifies as disabled based on the definition of “Disability” in Article 2 of the plan document. You must notify the Program of the disability and provide proper documentation for the distribution to begin. Met criteria for a required minimum distribution. If the participant is no longer working for your firm or is at least a 5% owner in the year in which age 70 1⁄2 was attained, payments must begin no later than April 1 following the calendar year in which the participant reaches age 70 1⁄2. Note: participants who transition to “of counsel” status may no longer be considered employees if they are paid via Form 1099. If these participants are independent contractors, then they will be subject to the RMD. Established an alternate payee account through a Qualified Domestic Relations Order (QDRO). If the QDRO states that the alternate payee is entitled to an immediate distribution, then benefits will be distributed accordingly, following submission of the Distribution Request Form (completed as detailed in this section). However, if the QDRO does not provide for immediate distribution, then the alternate payee will only be eligible for a distribution if the participant is eligible for a distribution or at the participant’s earliest retirement age. It is the plan administrator’s responsibility to determine when the alternate payee may request a distribution. – After leaving your firm if the participant was vested when he or she left. (Refer to “Death Claims” for more information on death benefits). 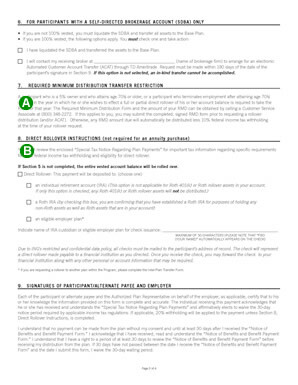 If the participant is eligible for a distribution, give him or her the Distribution Request Form along with a “Special Tax Notice Regarding Plan Payments,” “Notice of Benefit and Form of Benefit Payments,” and “Notice of Waiver of Annuity and Election of Alternate Benefit Payment Form.” If a participant in a money purchase pension plan wants an annuity payment, also give him or her the Annuity Quote/Purchase Form. If the participant wants to direct deposit installment payments, also give him or her Electronic Direct Deposit Form. 1. Which of the following three options is most appropriate for them? 2. What method of payment would they like at retirement? 3. Are they required to take a minimum distribution? There are three options available to eligible participants. More detailed information can be accessed here, and you can forward that link to participants who terminate employment with your firm. Participants who no longer work for your firm can continue to maintain their vested account balance in the plan (as long as it’s more than $5,000). Participant (and firm) contributions will cease. However, these participants will still be able to manage their accounts in the plan’s investment options. There is no extra cost to participants. Participants must start payments according to the required minimum distribution requirements. Note: Participants in a money purchase pension plan who want to purchase an annuity through the Program must complete and sign an Annuity Quote / Purchase Form. Participants might also choose to “roll over” their balance into an individual retirement account (IRA) including a Roth IRA. Since many banks and other financial institutions offer these accounts, a financial advisor can help participants select the option that best meets their needs. Participants who join a new firm may have the option of rolling over their current plan account balance into their new firm’s retirement plan (which may be in the Program). This can be accomplished via the Distribution Request Form. Participants may also want to consult a financial advisor before choosing this option, as retirement plans can vary from firm to firm. If the new firm is a Program plan, the participant can roll over his or her account from plan to plan by completing both the Distribution Request Form and the Inter-Plan Transfer Form (available in the Forms, Tools and Resources section of the Guide). When a participant requests a distribution, please remind him or her of the available options, which may include keeping his or her money in the plan or rolling it over to an IRA. Governmental 457 Plan — A retirement plan, similar to a 401(k) plan, offered to employees of state and federal governments and agencies. Participants may choose to cash out the balance of their account as a lump-sum payment or under one of the other payment methods offered by your plan. If they select this option, their payment will be subject to 20% federal income tax withholding. Participants also may have to pay an early 10% distribution tax in the year in which they receive the payment, as well as additional state and local taxes. At the close of each plan year, the Program reviews the accounts of those participants whose vested account balances do not exceed $5,000 and who terminated employment in the prior plan year or earlier (not the one that had just closed). A notice is then sent to the participant concerning the annual “cash out of small accounts” sweep performed by the Program, along with instructions on how to obtain a Distribution Request Form. If the Program does not receive rollover instructions before the end of the third month after the plan year end, the account is swept — cashed out — and the vested balance is rolled over to an IRA established for the participant. However, if the vested balance is $1,000 or less, a check is sent to the participant, less federal income tax withholding. The participant has 60 days to roll over the cash distribution to another tax-deferred retirement vehicle. He or she can make up for the taxes that were withheld in the rollover and then recoup those taxes when filing his or her income tax return. A lump-sum payment of the full or a partial balance. Monthly, quarterly, semi-annual or annual installment payments. Life annuity — Payable for the participant’s lifetime only. Life annuity-period certain — Payable for the participant’s lifetime with a specified number of payments (5, 10, 15 or 20 years) guaranteed. If the participant dies before receiving all the guaranteed payments, payments continue to a beneficiary until the guarantee period ends. Joint and survivor annuity — Payable for the life of the participant. On the participant’s death, 50% or 100% of the benefit amount (whichever was elected) continues to the named survivor until the survivor’s death. Joint and survivor annuity-period certain — Payable for the life of the participant. On the participant’s death, 50% or 100% (whichever was elected) of the benefit amount is paid to the survivor for the remainder of the survivor’s life or, if later, until the end of the guarantee period (5, 10, 15 or 20 years, whichever was elected). If the survivor dies before the end of the guarantee period, any remaining payments will be paid to the next succeeding beneficiary. These annuities provide monthly payments. Check your adoption agreement, as these annuities are not available in all plans. * Available in money purchase plans and target benefit plans only. In general, all retired participants are required to start payments prior to April 1 following the calendar year in which they turn age 701⁄2. A participant who is age 701⁄2 or older and still employed is not subject to the required minimum distribution, provided the participant is not a 5% (or more) owner of the firm at any time during the year in which he or she attained age 70½. A participant who is a 5% owner and who is age 701⁄2 or older and still employed is subject to the required minimum distribution. Completed signed Form W-4P if no federal income tax withholding is requested. The Form W-4P is only required once and will be kept on file for all future RMDs processed through the automatic sweep. Completed signed Electronic Direct Deposit Form if the participant wishes to have the RMD sent by ACH to the participant’s bank account. This form is only required once and will be kept on file for all future RMD’s processed through the automatic sweep, as well as any other withdrawal requests the participant submits. (if plan is subject to spousal consent requirements) Completed, signed blanket spousal consent form. The blanket spousal consent form is only required once and will be kept on file for all future RMDs processed through the automatic sweep.. If a participant who is subject to the RMD regulations submits a request for a rollover distribution, his or her RMD will be issued automatically as a withdrawal before the rollover is processed, less the applicable federal and state income tax withholding unless a Form W-4P is included to request different withholding on the withdrawal. Participants subject to minimum distribution requirements who wish to receive their RMD before mid-December must complete the Required Minimum Distribution Form which is available from the website and Customer Service Center at 800.348.2272. Participants whose plans are subject to spousal consent will need to obtain that consent on the RMD Form. *The first RMD paid to the participant, which is due by the April 1 following the year in which he or she attains age 70½, will be processed through the automatic sweep in mid-March so that it is paid by the deadline. To request a distribution (other than a required minimum distribution), participants must complete a Distribution Request Form. For a required minimum distribution, participants must complete a Required Minimum Distribution Form (or their RMDs will be paid through the automatic sweep in mid-December). If the participant wants a quote for an annuity payment, he or she must first complete an Annuity Quote/Purchase Form. 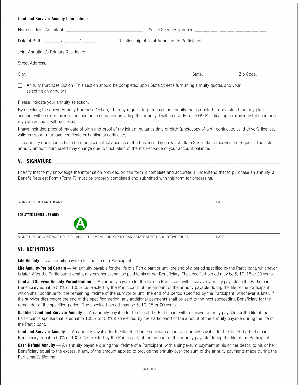 Then, upon purchase, the participant submits both the Annuity Quote/Purchase Form and the Distribution Request Form. If the participant wants his or her installment payments to be directly deposited into his or her account at a bank or financial institution, the participant must complete an Electronic Direct Deposit Form. If the participant wants a partial or full lump-sum rollover distribution wired to his or her financial institution, the participant must complete a Wire Instructions for a Partial or Lump Sum Rollover Distribution. If annuities are offered by your plan,* married participants who choose a form of benefit other than a “qualified joint and survivor annuity” must have their spouse’s signed consent. An Authorized Plan Representative or notary public must witness the spouse’s signature. The date of the witness’s signature must be the same date as the spouse’s signature. This date must be within 180 days of the withdrawal in order to be valid. Note: If the witness is a notary public, documentation must be provided evidencing the notary’s status (i.e., a raised seal or ink stamp). If the Authorized Plan Representative is married to the participant, he or she cannot serve as the witness of the spouse’s signature. *Available in money purchase plans and target benefit plans only. C. You check the reason for the request and complete the relevant information. 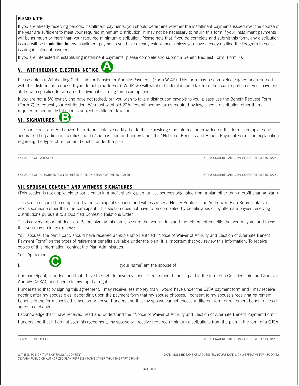 Review Step 1 under “Determining Eligibility” for more information. A. You complete the participant’s vested percentage. Bear in mind that your plan may have more than one vesting schedule for employer contributions — check your adoption agreement. B. The participant checks a form of benefit and completes the relevant information. Section 5 should be completed even if the participant is requesting a rollover. A. The participant should read the required minimum distribution transfer restriction. B. The participant completes the direct rollover instructions, if applicable. A. The participant must sign and date the Form. B. 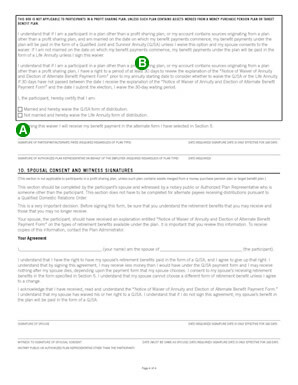 If the plan is subject to the QJSA regulations, the participant should review the information in the box at the top of the page and check the appropriate option. If the participant is married, spousal consent must be obtained and witnessed, and. Then, the participant sends the Form to the authorized plan representative for signature. C. The participant checks a form of annuity and completes the relevant information, if applicable. A. The participant must sign and date the form. Then, the participant sends this form and the Distribution Request Form to you. The Distribution Request Form need not be submitted if the participant is requesting a quote only. C. The participant checks the reason for the request. D. The participant checks the form of benefit and completes the relevant information regarding receiving his or her required minimum distribution. A. The participant must complete sections 5 and 6 if he or she wishes to specify withholding. B. 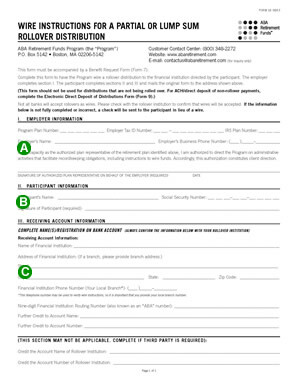 The participant must sign and date the Form. Then, the participant sends the Form to the authorized plan representative for signature. C. If required, spousal consent must be obtained. B. The participant or beneficiary completes the participant information. C. The participant or beneficiary will have the financial institution that is to receive the direct deposits complete this section. 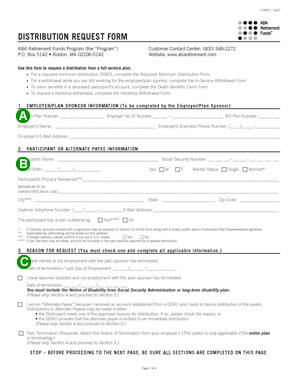 An authorized person at the financial institution must fill in his or her title and sign the form. 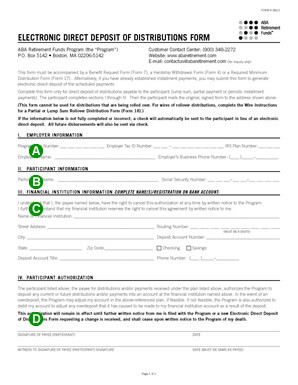 Then, the participant or beneficiary sends this form and the appropriate withdrawal or distribution form to you. 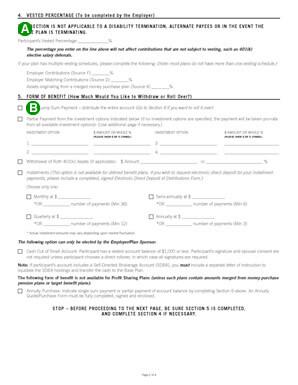 D. The participant or beneficiary must sign and date the Form before a witness. A. The participant completes the employer information that relates to the plan. C. The participant completes account information for the financial institution that is to receive the wire distribution and signs the form where indicated. 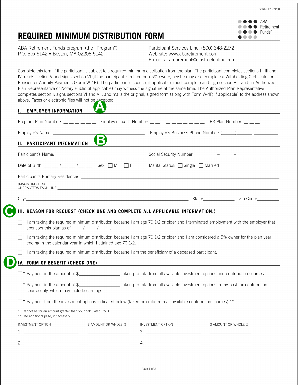 Once you receive the participant’s completed Distribution Request Form or Required Minimum Distribution Form, you must review and sign it as the Authorized Plan Representative. 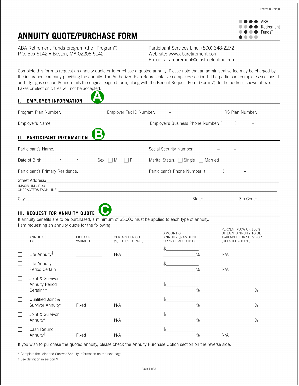 Then submit the completed forms (with the W-4P if applicable) to the Program using one of the methods described under “Mail & Email” in the Forms, Tools and Resources section of the Guide. The Program will mail a check or send the wire payment to the participant within two business days from when the request is received. The Program will process the forms upon receipt. The Program will send a check (if applicable) to the participant. In January of the next calendar year, the Program will mail an IRS Form 1099-R to the participant regarding any taxable distributions for the prior tax year. Any distributions processed by the close of business on the last business day of the quarter will be reflected on the participant’s quarterly statement. Quarterly statements are mailed within 10 business days after the end of each quarter. Unless there is a “direct rollover,” the Program will withhold 20% of the taxable portion of any distribution to a participant or beneficiary that is eligible for rollover. The plan must comply with any mandatory state income tax withholding rules (which vary by state). Participants will receive credit for payment of these taxes when they file their annual tax returns for the year in which the distribution occurred. Also, participants who want to elect additional withholding from the required minimum distribution payment may complete IRS Form W-4P at least 30 days before receiving the distribution. Form W-4P must accompany the distribution paperwork. In general, participants who receive a check payable to themselves can roll over the full distribution amount to an IRA or another employer’s qualified plan within 60 days of their receipt of the check. However, to roll over the entire amount of the payment, the participant should (but is not required to) find other money to replace the 20% that was withheld for federal income tax. The participant receives credit for the taxes paid when he or she files his or her income tax return for that year. If the participant only rolls over the 80% that was received, the participant will still be taxed on the 20% that was withheld and not rolled over. Amounts rolled over will not be taxed until the participant receives a payment from the IRA or other employer plan. The participant may be able to use the special tax treatment for lump-sum distributions. The participant should see his or her tax advisor for more information. Alternate payees (e.g., spouse or former spouse) have the same choices as participants — they can cash out their distribution immediately if allowed in the QDRO, or roll it over to an IRA or an employer plan. Beneficiaries other than the surviving spouse can elect to make a direct rollover to an “inherited IRA” established solely for the purpose of receiving the death benefits. See “Death Claims ” for information on distributions to beneficiaries.